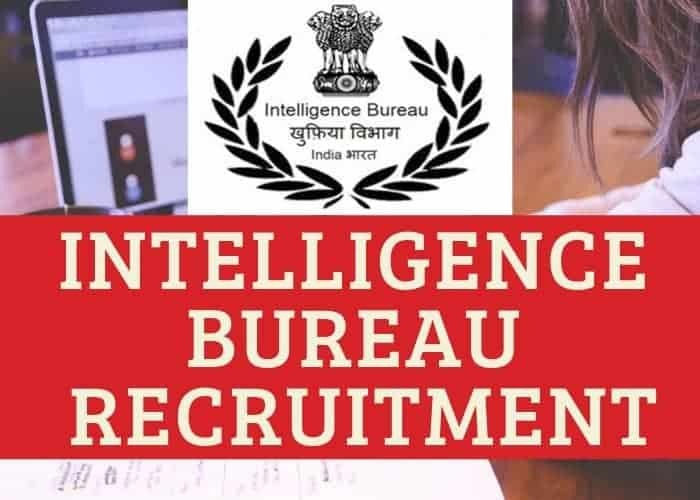 Intelligence Bureau IB Recruitment 2019: Here we are sharing information about some of the main Group B, Group C and Group D posts for which Intelligence Bureau with the help of MHA releases a large number of vacancies and conduct recruitment exam. 2 How to fill IB recruitment application form? In this article we are going to add all the latest vacancies release by IB. You can visit this page regularly to find more IB 2019 Recruitment drive. ACI Officer is a field job and candidates interested in taking challenges and risk takers suits this job profile the best. ACIO grade II officers can be posted anywhere in the India (rural or urban areas) so they must be to explore various locations of the country. The official notification for AICO II 2019 recruitment is going to be released soon. Candidates must have a graduate degree/ equivalent from a recognized university. Candidates must be of age group 18-27 years. Applicants must have basic knowledge of computer. An age relaxation of 5 years and 3 years in upper age limit is applicable for SC/ST candidates and OBC candidates respectively. On the basis of combined performance in Tier I and Tier II exam, candidates will be shortlisted for interview round. The final selection will be made on the basis of all the selection rounds, document verification, and medical examination. General Awareness/ Knowledge- Current Affairs, Current news (National and International), Economy, World Events, Political news, Indian History, Events of National Importance, Weather, Climate Etc. English Comprehension- Questions in this section are asked to check the knowledge of candidates in English. This paper is designed to tests the writing and analytical skills of the candidates in English Language. Candidates can prepare current issues on national and international level for essay writing. Security Assistance is classified as a General Central Service, (Group ‘C’) Non-Gazetted, Non-Ministerial post in IB. This post also involves All India Transfer Liability. Candidates should apply only if they are willing to serve anywhere in India. Candidates must have qualified matriculation (class 10th) from a recognized Board. Applicants must have knowledge of any one of the local dialect/ Language. Candidates must have field experience in intelligence work. The upper age limit of candidates must be 27 years. Relaxation of 5 years and 3 years in the upper age limit is applicable for SC/ST and OBC candidates respectively. Candidates shortlisted in Tier II will be invited for interview/Personality Test round i.e. Tier III. This round will be of total 50 marks. The final selection of the candidates will be made on the basis of all the three tiers, Character & Antecedent verification that is also followed by a medical examination. Assistance Section Officer is a ministerial profile job in IB and is filled through an examination conducted by SSC. The recruitment of Assistance Section Officer in IB is made through SSC CGL exam. candidate must hold a graduate degree from a recognized university. The selection procedure of ASO in IB consists of four rounds viz. How to fill IB recruitment application form? IB recruitment notification is published on the official MHA and SSC website and employment newspapers. Interested candidates can fill the application only through the online mode as no other mode is applicable. Candidates must regularly visit official portal to get updates regarding IB recruitments. Candidates must read all the instructions before filling the online application form. Visit MHA official website i.e. www.mha.gov.in. Now on the homepage, search for “what ’s new” section. Click on relevant recruitment link. Enter all the details and register as a new candidate. Login by using registration no. and password provided after registration. Fill all the details asked. Make payment and submit the application form. Lastly, take a printout of the filled-in application form for future references. For filling application form for IB posts like Assistance Section Officers which are filled through SSC, candidates have to visit official website of SSC. The application fee for ACIO and Assistance Security Officer is Rs.100 and Rs.50 for Security Officers. Female, SC/ST and Ex. Serviceman candidates are exempted from application fee. Application be can be paid through credit/debit card, net banking, or through cash deposit at the bank. Application is not refundable under any circumstances. After the successful submission of the application form, admit cards will be issued to the candidates at least one week prior to the date of examination. Admit card will be issued only through the online mode. Candidates can download their hall tickets by using the login credentials received at the time of registration. IB result is released after the commencement of each selection round/ tier. Candidates can check their results at MHA or SSC websites on the specified dates. IB results are usually declared as the selection list that indicates the roll numbers plus name of the selected candidates. All the intimation regarding exam are made through the email and registered mobile no. of the candidates. Hence, it is mandatory for all the applicant to register a valid and working mobile no. and email ID. Ministry of Human Affairs is an important Ministerial department of the Government of India that has multifarious functions and responsibilities such as internal security, Centre-state relations, Management of Central Armed Police Forces (CAPF), border management etc. Intelligence Bureau is the oldest intelligence agency of the world that comes under the administration of Ministry of Human Affairs. IB is one of the child agencies of MHA. This is the reason that maximum number of recruitment of officials and employees in IB is made by the ministry. Recruitment in IB is done on the basis of class level which include recruitment of Group A officers that comprise gazetted officers, group B comprises of Senior inspector, group C grade 2 officers and group D employees. Group A gazetted officer forms the high-level management of the Bureau. In case of any grievance regarding IB recruitment 2019, candidates can contact the concerned officials or drop a comment below. My Wish was just …….?? ?.